PIcture is for the beachhouse. It the frame made of solid wood, or is is made out of MDF? BEST ANSWER: Hello! Thank you for your inquiry. 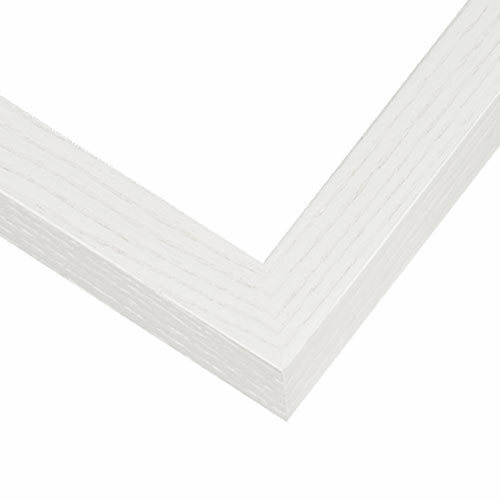 This beautiful sleek white frame is made of %100 wood. Thanks for reaching out to us! Does the Frame only option come with a sheet of plastic? BEST ANSWER: Thank you for submitting your inquiry. The Frame only option does not come with a "plastic cover". We offer Clear Acrylic in Classic Clear, Non-glare, Premium and U.V. Protectant. 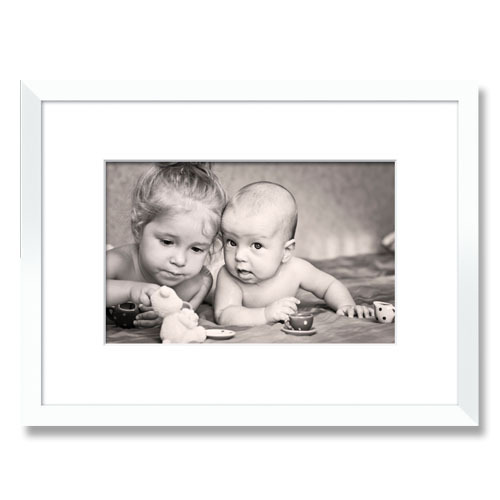 The acrylic is purchased separately with the frame. Please let me know if you have any further questions. Thank you.